Why American Space Industry is Up Against Indian launch Service? 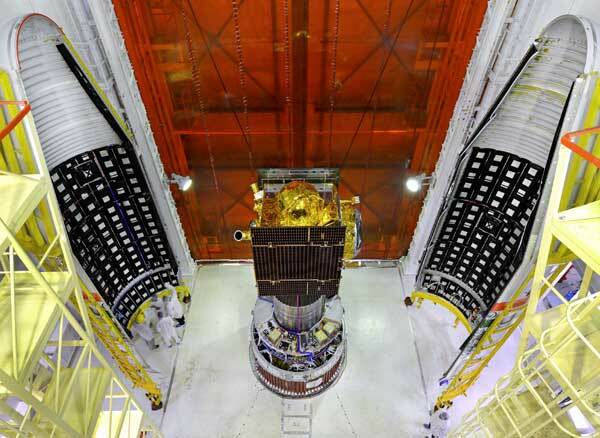 PSLV and other Indian launch vehicles including the high performance Mark Two version of three stage Geosynchronous Satellite Launch Vehicle (GSLV-MKII) have been developed by the Indian Space Research Organisation (ISRO) with the funding from the Indian government. However, the affordable cost of human expertise in India and the innovative engineering strategy adopted by ISRO have contributed to the low cost of the Indian launch service. And the argument of the US space industry captains that India should price its launch services in conformity with the international market trend does not make sense. Perhaps there is hardly any other commercial space vehicle in operation elsewhere in the world which is similar in mission capability to PSLV. …both the US and the European space industry, which dominate the global commercial satellite launch market, is no more operating a kind of launch service that PSLV is well equipped to provide. 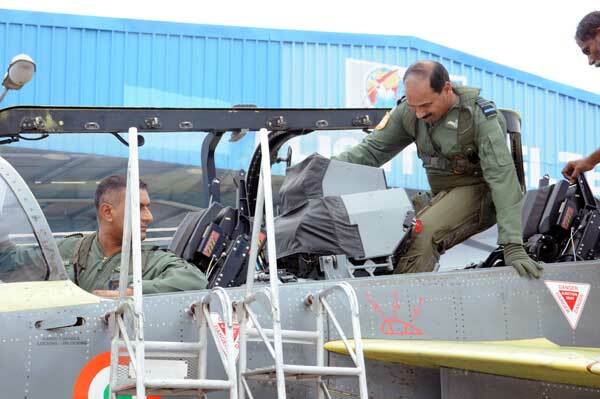 The Chief of Air Staff Air Chief Marshal Arup Raha flew the indigenously designed and produced Light Combat Aircraft (Tejas) at HAL Bangalore today. The Tejas has been designed by Aeronautical Development Agency (ADA) and produced by HAL at Bangalore. The aircraft is an advanced fly by wire fighter aircraft with state of the art avionics. The aircraft structure comprises of a large amount (more than 50%) of composites and features a quadruplex digital fly by wire control system. The Air Chief Marshal carried out manoeuvers in the entire flying envelope of the aircraft. He carried out simulated air to air and air to ground attacks. He also assessed the advanced modes of the radar and Helmet Mounted Display Sight (HMDs). An ace fighter pilot himself, Air Chief Marshal Raha appreciated the flying qualities of the aircraft. He congratulated the entire team of ADA and HAL for their hard work in getting the LCA program to this stage. 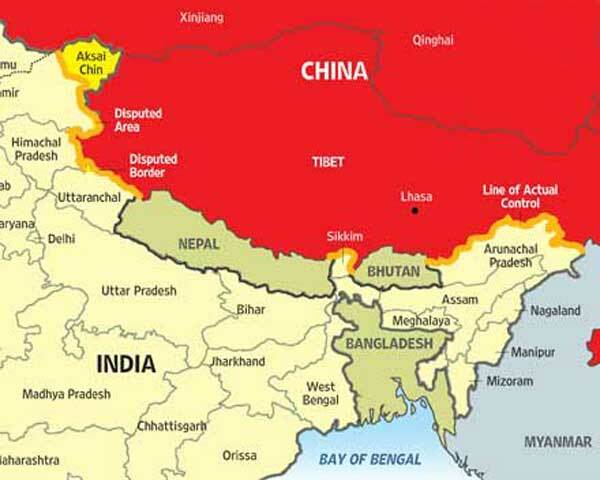 India and China lost a few opportunities to resolve the border – first during Chinese Premier Zhou Enlai’s India visit in 1960, second during 1979 during Vajpayee’s China visit, and third during 1980s when rather than a package deal India insisted on sectoral approach. Dai Bingguo, China’s Special Representative (SR) who negotiated border issue with four Indian SRs between 2003 and 2013 points to yet another opportunity lost in his memoir Strategic Dialogue: Reminiscences of Dai Bingguo published by People’s Publishing House in tandem with World knowledge Press in late March 2016. Dai has vividly and candidly penned down his reminiscences about these talks in Chapter 7 titled Dragon and Elephant Tango running into 29 pages and six sections – Taking on the thorny issue; An excellent beginning; Origin of the first political parameters and guiding principles; Arduous exploration for a framework for border resolution; Worth an effort; and Friendly neighbours facing each other. At the outset Dai acknowledges India’s support and sympathy towards China during latter’s war with Japan. He particularly mentions of Dr. Kotnis, China-India- Burma Theatre of War when Chinese expeditionary forces were trained inside the Indian territory during the World War II, and China-India and Burma jointly advocating the Five Principles of Peaceful Coexistence. However, owing to the boundary issue, China and India even fought a war; it was only after China initiated the policy of reforms and open door that relations normalised, posits Dai. “War is too important to be left to the Generals,” said former French Prime Minister Georges Clemenceau. However, Indian security planners have for long allowed the IAF’s rhetoric of wanting the “best combat jet” to remain unchallenged. India is paying dearly, both in money and in defence preparedness for such dereliction of duty. The country’s most expensive defence deal in its history will neither lead to a transfer of technology and local manufacturing nor will IAF acquire the required number of jets to enhance the country’s defence. Ironically, despite the obvious deficiencies India cannot walk away from the deal. This is because we need the jets to make up for numbers badly! That IAF was losing combat jets to ageing was always known. IAF’s squadron strength is expected to get to 25 in next six years against a sanctioned strength of 42. That is a shortfall of about 200 jets. This paper presents a typology for three groups of intra-state actors in Pakistan. These three groups - termed "complicit," "culpable," and "collateral" - have their own, different stakes in promoting transnational extremism. This typology suggests that Pakistan cannot be considered a unitary rational state. Furthermore, the paper analyses the inter- and intragroup dynamics within the theoretical framework of evolutionary game theory. Policy recommendations are made in this paper through the typology viewed within the evolutionary games framework. China marked its first “State (National) Security Education Day” on April 15. The event received international media attention, in large part due to a Beijing propaganda poster campaign called “Dangerous Love.” In the campaign, a young woman named Xiao Li, who works in the civil service, becomes romantically involved with David, a stereotypical foreigner. David compels Xiao Li to share confidential state communications to support his “academic research.” Unfortunately, Xiao Li soon finds herself arrested and accused of sharing state secrets with David, whom the government accuses of being a foreign spy. In addition to the obvious warnings to Chinese citizens, the campaign might put foreigners on guard about detention and discrimination risks in China—particularly NGO employees or researchers working on sensitive subjects. Indeed, China under Xi Jinping is making foreigners feel less welcome. But even though there is truth to such interpretations, there are additional factors that should inform our analysis. State Security Education Day is largelyaimed at increasing the masses’ consciousness of state security and their sense of responsibility to participate in its preservation. This highlights an idea in China’s state security concept, broadly overlooked in existing analyses: that each member of Chinese society has a responsibility to uphold the Chinese Party-state’s security. To understand this requires bearing in mind that China’s state security strategy is fundamentally aimed at upholding the Communist Party of China’s leadership. Asking the US to respect the efforts by China and India to resolve their boundary dispute peacefully, a top Chinese official on Monday said the two nations are wise enough to deal with it after the Pentagon accused Beijing of deploying more troops along the Sino-India borders. “The Chinese side is committed to safeguarding peace and tranquility of the border areas between China and India and resolving the boundary question through negotiation with India,” the Chinese Foreign Ministry said in a written response to PTI here about a Pentagon report alleging that Beijing has increased defence capabilities and deployed more troops along the borders with India. The US military report also warned of increasing Chinese military presence in various parts of the world, particularly in Pakistan. “China and India are wise and capable enough to deal with this issue. It is hoped that other country would respect efforts made by China and India for the peaceful settlement of dispute, rather than the opposite,” the Foreign Ministry said, apparently referring to the US. One of the more headline-grabbing takeaways of the 2016 Defense Department report on Chinese military strength involves the size of the Chinese air forces, which now approach 3,000 aircraft. This number puts China ahead of any country in the world, other than the United States and Russia. However, the numbers bear more scrutiny. 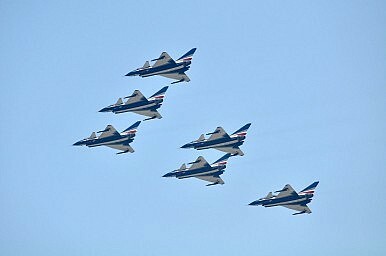 Flight Global 2016 puts overall Chinese strength at 2,942 aircraft, including the PLAAF (1977) PLA ground forces (556) and the PLAN (409). U.S. overall strength, by contrast, sits at 13,717 aircraft across the four services (including the U.S. Marine Corps). U.S. numbers are weighted less heavily towards the Air Force, as the Army and Navy (including the USMC) have nearly as many planes as the USAF. The compositions of the fleets also differ. The United States has around 2,200 short range fighters, compared to about 1,200 for China. Weighting by quality, the United States has an even more substantial advantage; China continues to fly over 400 J-7s, an effective aircraft, but not competitive in any sense with the U.S. fleet. The United States also has massive advantages in other aircraft types. The United States, for example, owns 78 percent of the world’s tanker aircraft; a unique capability for a state that views itself as having unique responsibilities. As defense analysts brood over the evolving military balance in the western Pacific, considerations related to undersea warfare keep coming to the fore. Given the lethality of modern antiship cruise missiles, surface combatants of all types may well be scarce on the future naval battlefield. Moreover, precision strikes on airbases (and the inherent vulnerability of aircraft carriers) suggest that aerial platforms could additionally be rather sparse during the first few critical weeks of any military conflict that breaks out in the Asia-Pacific region. That leaves submarines (assisted by undersea robots) to decide the epic battle. Western strategists have been reasonably comfortable with this conclusion, safe in the knowledge that Washington possesses a very considerable undersea advantage over Beijing. That advantage includes acoustic superiority, larger and more capable boats, and a wealth of experience both in operating submarines and in developing undersea warfare-technology innovations. However, this column has occasionally drawn attention to caveats in the assumption of U.S. undersea superiority, including China’s robust mine-warfare posture, its broad front effort to improve its antisubmarine capabilities, as well as possible attempts to experiment with alternative submarine doctrines. That is not to even mention the fact that the U.S. Navy fleet of nuclear attack submarines is now declining to a perilous low of just forty-one boats by 2029—a “valley” in U.S. naval capabilities that is widely noted in Chinese military sources. Politics is a messy business. Ahmet Davutoğlu learned this the hard way when he announced on May 5, 2016, that he would step down both as Prime Minister of Turkey and as chair of the ruling Justice and Development Party (AKP). Until recently, Davutoğlu was one of the symbols of Turkish politics. During the 2014 election, the AKP campaign song by Turkish singer Erhan Güleryüz referred to Davutoğlu as “the brave, righteous and honest” man who is “the true grandson of the Ottomans,” and who “linked arms with reis,” a Turkish word for a leader that connotes hierarchy and loyalty. However, Davutoğlu’s political position has gradually declined over the years, alongside the Turkish foreign policy that he intellectually and strategically formulated. All this only to meet his ultimate political demise domestically as the result of parting ways with Erdoğan, who has been consolidating his personal political power. Although Davutoğlu resents the term “neo-Ottomanism,” he and Erdoğan have been the most visible faces of this popular term. In terms of foreign policy, “neo-Ottomanism” refers to the idea of Turkey becoming a major geopolitical player once again in the territories of the former Ottoman Empire—primarily the Balkans, the Middle East and the Caucasus. In domestic politics, the term refers to the restoration of Ottoman political and cultural heritage in Turkish society. In that context, Davutoğlu has primarily been associated with the former, and Erdoğan with the latter. Behlül Özkan, Davutoğlu’s former student and now his critic, even claimed that foreign policy was one area of the political spectrum that was dominated not by Erdoğan but rather by Davutoğlu, given his intellectual aptitude and other skill sets, such as his mastery of foreign languages. One hundred years ago, on May 16, 1916, representatives from the United Kingdom and France (with the agreement of Russia) met in secret and signed what has come to be known as the Sykes–Picot Agreement. The pact, signed amid World War I, divided the Ottoman Empire into spheres of imperial control, and is often held responsible for establishing the current borders of the Middle East. The agreement has been widely criticized in recent years, particularly after the 2003 U.S.-led invasion of Iraq, because to many its borders are not just a symbol of foreign imperialism but also reflect what they see as the lack of understanding of the Middle East -- then and now -- demonstrated by world leaders. Ethnic groups were split across borders and when sectarian violence erupted in Iraq after the fall of Saddam Hussein, many blamed Sykes-Picot for pitting ethnic groups against each other. Understanding Sykes-Picot is also central to understanding the ideology (or at least the propaganda) of the Islamic State (IS) militant group. In the summer of 2014, the terrorist organization had seized large amounts of territory in both Iraq and Syria. The group had recently pronounced that it was changing its name from Islamic State of Iraq and Al-Sham (Greater Syria) to just "Islamic State." The jihadist movement has progressed closer to bin Laden's vision for the world in the past five years than it had in the almost 10 years between 9/11 and his death. An arc of jihad now spreads from West Africa through the Middle East and into Southeast Asia. Reflecting on bin Laden's demise provides a reminder not to lose sight of the forest — the wider jihadist movement — by focusing on the trees — individuals and groups. Bin Laden aspired to a world ruled by a Muslim caliph who would be guided by the principles of Sharia. To get there, he envisioned the establishment of a series of Islamic emirates practicing "true Islam" that eventually would expand into a global caliphate. Until his death, bin Laden maintained that jihadists should focus primarily on attacking what he termed the far enemies — the United States and its "European crusader allies." He believed that until they were driven out of the Muslim world, it would be impossible to establish such emirates because the United States and its allies would overthrow "true Muslim" leaders as they did Mullah Mohammad Omar and the Taliban in Afghanistan. Furthermore, unless the far enemies were stopped, they would continue to support the "apostate" governments, such as those in Saudi Arabia and Pakistan, that did not share bin Laden's interpretation of Islam. Iraq is once again in political turmoil, and once again we are hearing calls to partition the country into three ethno-sectarian cantonments: Shi’a, Sunni, and Kurd. The partition trope resurfaces periodically, most often while Iraq looks “too hard to fix.” Advocates of partition suggest that Iraq is a false construct of the century-old Sykes-Picot treaty, and that Iraqis are incapable of sustaining a heterogeneous state. Putting aside the fact that the Sykes-Picot narrative is atbest contested, it is time to put the partition trope to the test and then, hopefully, to rest. The mostly non-Iraqi voices who want to divide the country into thirds owe the Iraqi people and the rest of the world extensive, detailed clarification. Surely, any plan to drastically restructure Iraq must be more thoughtful and detailed than the widely condemned 2003 plan to invade Iraq. At the very least, advocates for partition should address some fundamental questions. If they cannot answer these satisfactorily then they should pause before reissuing what many Iraqis view as disheartening, and even inflammatory, positions about their state. Around one month ago, I chronicled the exasperating reality of the U.S. military’s relegation to operational hand-holding in Iraq. Sure enough, as more time passes, the magnitude of the challenges therein is becoming clearer. Recent events like the (mostly peaceful and brief) occupation of the Iraqi parliament by followers of prominent Shia cleric Muqtada al-Sadr are illustrative of the political disarray gripping Baghdad. This disorganization has been an utter albatross in the campaign to clear the so-called Islamic State (ISIS) from the north and west of the country, particularly their stronghold of Mosul. Unfortunately, the U.S. military is now being reluctantly dragged into sectarian squabbles as various regional leaders (i.e., those with tangible power in the area, unlike the government in Baghdad) jockey for control of specific territories. The United States thus finds itself trapped in the middle of messy combat politics without much leverage. The Obama administration’s justifiable reluctance to commit many thousands of troops to the mission of driving ISIS firmly back underground while stabilizing the country (effectively doing the Iraqi security forces’ job for them) means that this problem will persist for some time to come. This makes the current mission creep there that much more concerning, as there is little more than serious headaches and enormous financial burdens ahead. BEIRUT (AP) — Russia has built a military encampment inside a zone that holds the UNESCO world heritage site in the ancient Syrian town of Palmyra, where Islamic State militants were driven out recently by pro-government forces. The Russian military described the camp Tuesday as "temporary," saying its few housing units were being used by explosives experts who are removing mines left behind by the militants, and that the Syrian government had given approval to build the camp. The head of Syria's Antiquities and Museums department, who noted the town's priceless antiquities are safer thanks to the Russian presence, nonetheless said he would not have granted Russia permission to build the camp if he had been asked. A UNESCO official said it was unclear whether the encampment was in a buffer zone to the archaeological site, but said it does not pose a threat to the historic area. The American School of Oriental Research's Cultural Heritage Initiative posted photos from the satellite imagery and analytics company DigitalGlobe that show the construction on the edge of the ancient site that was damaged by the Islamic State group, which held Palmyra for 10 months. In a widely publicised meeting at Sochi on May 6, Japan’s Prime Minister Shinzo Abe met Russian President Vladimir Putin. It was a very important meeting where Abe showed tenacious resolve to bring about a new turnaround in the bilateral relations which have hit a road block since the Ukraine crisis in 2014. While Putin has not visited Japan even once, it was Abe’s fourth visit to Russia, showing his strong resolve to mend the ties. Ever since Abe returned to power in December 2012, he has taken a vow that he will make all possible efforts to realise two of his most important political objectives. The first one is about amending Article 9 of the Constitution. He has fulfilled this mission partially. Though a formal Constitutional amendment is still a distant goal, Abe has succeeded in his efforts to reinterpret the Constitution to ensure Japan’s role, though limited, in collective self-defence. His second vow relates to the resolution of the territorial question with Russia which has been pending for about 60 years now. Abe believes that since he and Putin enjoy overwhelming political strength in their respective countries, they should exert their influence and guide their countries in the direction of finding a solution to the territorial tangle instead of leaving the issue to the next generation to solve. Abe knows that Putin is sitting in the driver’s seat as far as the territorial issue is concerned. If the Ukraine crisis is going to create a prolonged period of diplomatic lull, it will toughen Moscow’s position and dampen its willingness to even discuss the issue. Abe believes he should therefore keep the territorial issue alive by continuing to interact with Putin and even expand Japan’s stakes in Russia by means of cooperation in trade and investment. That Abe was keen to improve ties with the Putin administration even before the Ukraine crisis was more than amplified during his visit to Moscow in April 2013, when relations between the two received a substantial impetus. They decided to hold annual summit meeting between the two top leaders. They further decided to set up a new consultative mechanism at the level of their respective foreign and defence ministers in the 2+2 format. Russia is the third country to have this arrangement with Japan, the other two being the US and Australia. The first ministerial meeting was also held in Japan in November 2013. In addition, unlike other G-7 member countries, Abe attended the winter Olympics game held in Sochi in February 2014. Will Sisi Squander His Chance to Fix Egypt's Economy? Ever since Saudi King Salman’s early April visit to Cairo, Egypt’s President Abdel Fattah el-Sisi has been in damage control mode, trying to contain a crisis sparked by two nearly simultaneous announcements: that Egypt would be transferring sovereignty of two Red Sea islands to Saudi Arabia, and that Riyadh would be providing an enormous economic aid package to Cairo. This news—coupled with reports that King Salman had showered senior Egyptian officials and parliamentarians with Rolexes—led many to conclude that Sisi had “sold” the islands. The optics were awful, and catalyzed Cairo’s largest demonstrations in years, with thousands once again calling to topple the regime. Amidst the intense focus on the islands, however, the significance of the Saudi grant has largely been overlooked. Absent the $22 billion in Saudi aid, Egypt was seemingly on a glide path to economic collapse. Egypt has long faced economic challenges, but over the past two years—since Sisi took power in a military coup—the situation has markedly deteriorated, precipitated by declining tourism and Suez Canal revenues, as well as a persistent Islamist insurgency led by ISIS. With foreign reserves dwindling to dangerous levels, a staggering 9 percent annual inflation rate, over 13 percent unemployment and an annual budget deficit of about 12 percent, Cairo’s finances, the Sisi administration’s durability and Egypt’s stability were all increasingly at risk. Editor’s Note: The Nature of SEAD is the first part of a 2-part series calling for the restoration of the defense suppression enterprise that carried the Joint Force from Vietnam until Desert Storm. This part covers the need for the restoration of the “electronic combat triad” once covered by specialized, well-trained crews in the F-4G, EF-111A, and the EC-130. Part II will discuss the modern threat environment and the impact of an over-reliance on stealth aircraft on the U.S. Air Force. Twenty-five years ago, Coalition forces began combat operations to eject Iraqfrom Kuwait. The method chosen was airpower, which shattered Iraq’s military forces weeks in advance of the ground campaign that punctuated the end of the war. The Iraqi air defense system, called “Kari,” was effectively neutralized within three days, leaving Iraqi commanders with only short-range defenses completely disconnected from the air defense system. The surface-to air missile (SAM)-killing Wild Weasel force, rushed into service in the fall of 1965 to counter the Vietnamese missile threat, had grown into its own a quarter century and five airplane designs later. Unofficial accounts within the Weasel community, based on combat tapes, put the tally of radars killed by the F-4G over 250, with some aviators suspecting that the number was much greater. This was a dominant performance that exceeded the most optimistic projections. In late February 2014, Estonians gathered to celebrate their annual independence day by hosting a parade and air display in the capital city of Tallinn. The viewing platform was full of distinguished visitors, including a representative of the Russian Federation. The crowd was waiting on a NATO fly-by that included four F-15 Eagle fighter jets from U.S. Air Forces Europe. The Russian turned to the Estonian Air Chief with a smile and remarked that he expected the F-15s to be late. A few minutes earlier, over 100 miles away, the F-15s had just completed an intercept of a Russian military aircraft violating Estonian airspace. They escorted it out of Estonia’s sovereign airspace and went supersonic over the Baltic Sea to make the fly-by on time, much to the delight of the crowd. In the wake of Moscow’s invasion of Ukraine, Russian provocations such as this have become routine in northeastern Europe. Russia is clearly flexing its renewed military, economic, and informational capabilities to increase its influence in Europe, slow the expansion of NATO and the European Union, and create fractures within Europe. Given what some analysts say about NATO’s inability to repel a surprise Russian conventional attack into the Baltic States, the alliance’s ability to deter Moscow is highly questionable. There are yet more concerns about how Russia could use non-conventional means — cyberattacks or support for fringe European political parties — to create fractures in the alliance that it could exploit to prevent collective action without having to resort to conventional military operations. When doing a cursory search of articles and commentaries about the current state of Arctic international relations, you would be forgiven if you were to think the Russians are preparing to launch a massive offensive against other Arctic states, particularly Canada. The oft-repeated narrative surrounding the Arctic is that the Russians are building up their northern military capabilities as part of their neo-imperial ambitions and to turn the Arctic into a sphere ofgeopolitical competition, tension, and conflict. There is reason for this narrative to not only survive, but to grow in its sensationalism. Russia’s provocativeness, actions, and statements from Russian officials do little to allay fears. For scholars of foreign and defense policy, as well as casual observers, a potential conflict with the Russians in the Arctic would be of great interest. For media outlets, the idea of conflict in the Arctic continues to serve as click-bait, and so the sensationalism continues. The problem, however, is that very little of this narrative is grounded in reality. The issue carries articles on equilibrium in higher defence organisation, countering radicalisation, and situating the Arthashastra in international relations. There is a perspective on the reorganisation of defence outlay for FY 2016-17, a commentary on the latest Australian Defence White Paper, and a review essay on the 1965 India-Pakistan War. If nothing else, Vladimir Putin is a leader who paints Russia’s image with broad strokes. He overcame a KGB and Communist past to create a kind of democratic autocracy in Russia. He literally, and figuratively, restored Christianity and orthodox churches across the land. In his spare time, Putin rides Harley Davidson bikes with the Night Wolves, Russia’s first post-Communist motorcycle club, an organization that might be the only state-sponsored political club for bikers on the planet. The Russian president rehabilitated the Russian armed forces too in the wake of the Afghan/Chechen debacles. More recently, Putin has unchained the bear and changed the complexion of politics and dissent in the Caucuses, Georgia, Ukraine, and now Syria. Russian push back against NATO expansion, and regime change follies, is a predictable, if not understandable, response to a hapless Brussels. Why European politicians seek a fight with Russia in the middle of an Islamic migrant blitz is a mystery to tacticians, strategists, and veteran diplomats alike. One of the most frequently heard arguments offered both by Western countries and some Ukrainians is that the best way for Ukraine to get the occupied territories back is to reform itself and become a wealthy and flourishing country that those now under Russian rule will want to join. Certainly, Anton Shvets, a frequent commentator on Russian-Ukrainian relations says, “the construction of a wealthy and flourishing Ukraine is something necessary and important” because it is a better place for its people to live and it is better able to defend itself against aggression (petrimazepa.com/transformation.html). But history suggests that this will not be sufficient to get the occupied territories back. “Somehow, the wealth of South Korea has not attracted the residents of North Korea” to join them just as until the collapse of Soviet power, impoverished East Germany as a country did not want to join much wealthier West Germany. In short, “the refrigerator far from always defeats the television,” he continues. Less than halfway through the spring season of banking and payments conferences, the dominant theme of cybercrime is ringing loud and clear. In the 2015 conferences, it was virtual currency, but this year, it is the threat of cyberattacks against individuals and business in both widespread and singular manners. At a payments conference last week, a representative of the Internet Crime Complaint Center (IC3) told the session audience about her center's work. The IC3 has served since 2000 as a conduit for the public to provide information to the FBI regarding suspected Internet-facilitated criminal activity. IC3 tracks and investigates hacking, money laundering, identity theft, advanced fee, and ransomware schemes. It also tracks and investigates efforts to steal intellectual property and trade secrets. In its latest annual report, IC3 provides detailed statistics on Internet-related complaints and trends. In 2014, the center received almost 270,000 complaints, accounting for more than $800 million in losses. Average monthly complaints received were 22,452. Complaint volume peaked in July at 24,521; the month with the fewest was February, with 20,888. Sykes-Picot is dead, to begin with. There is no doubt whatever about that. The register of its burial was signed by France and Britain after 1919, when each imposed governments in Syria and Lebanon, Iraq and Transjordan. It was signed by the pan-Arab nationalists of the 1940s and ’50s, when their movement crashed against the surprisingly resilient system that had been established; it was invoked again when Arab nationalism crested in the 1960s and fell back in the seventies. It was signed, too, by the minoritarian governments in Iraq, Syria and Lebanon when they violently split ethnic and sectarian divisions in the 1980s, ’90s and beyond. And it was signed most recently by ISIS, which in 2014 tweeted that Islamic State was “smashing Sykes-Picot” in establishing a caliphate in Iraq and Syria. Yes, old Sykes-Picot, which was ratified one hundred years ago this month, is dead as a doornail.